What would you do in a medical emergency if 911 could not respond? This family size kit has been relied upon by some of the most notable expeditions in the World, including the Mallory/Irvine Research Expedition and Ed Viesturs's recent successful summit of Annapurna. 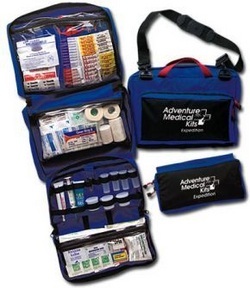 The Expedition Kit includes the essentials for a large group or family. 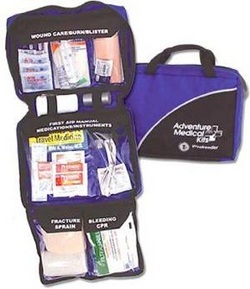 Kit includes: oral rehydration salts, diarrhea medication, water disinfection tablets, SAM splint for fractures and sprains, wound irrigation system to clean and close wounds, laerdal CPR pocket mask for CPR or administering oxygen, trauma supplies and enough components to care for a large group for an extended period of time.